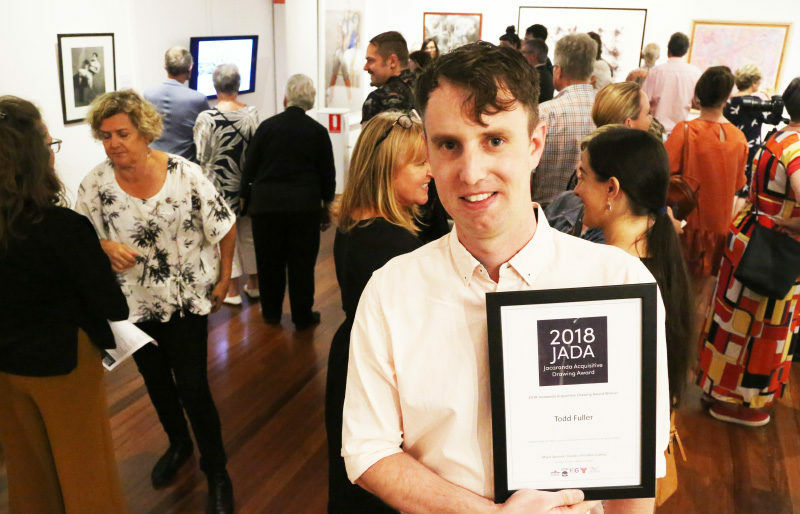 A large crowd turned out for the 2018 official opening of the biennial Jacaranda Acquisitive Drawing Award (JADA) on Friday evening, at the Grafton Regional Gallery. Gallery director Niomi Sands introduced Art Gallery of NSW curator Anne Ryan who had judged the exhibition earlier on in the day, to announce the winner. Sydney based artist Todd Fuller took out the prestigious award with his video animation of Grafton. Todd said that his animation film was drawn one frame at a time and contains 3,600 stills. “I shot it while I was on residence here at Grafton Regional Gallery last year,” Todd said. “It took about a month to do, with a little bit extra (work) when I got back home,” he said. When asked about his prestigious win, Todd was still in shock. “I’m shaking and I’m trying to be composed,” Todd said. 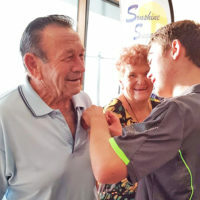 “This prize is such a significant part of the Australian drawing community and to be acknowledged through it is mind blowing and extremely humbling,” he said.